Candy is another Woe that Pandora likes to use. She's also a henchman so she can always use soulstones to improve her flips or help with defense. She is a Casting expert, which really helps as both Candy's attach are Ca-based. She's only Ht 1 but despite that, her Ml range is an impressive 3'. She uses a nasty attack in the form of Self-Loathing. She can also hit from a distance with Wail. At Rg 8. It's damage spread is not that impressive with severe 3 (plus a blast) but it has a very nasty trigger with a tome. Once she hits an opponent with it, she can pull some really mean shenanigans with activation control that can even make up for a lost initiative flip. She also carries around a basket full of goodies, which allows her to heal herself. Candy is not a tough one as her Df is 6 with 9 Wd. Her only defensive trick is Manipulative 12. She can be excellent for certain strategies with a 1ss Best Behaviour upgrade that gives her a (0) action. Using it, she can bury and pop back into play anywhere in the controller's deployment zone during the next draw phase. 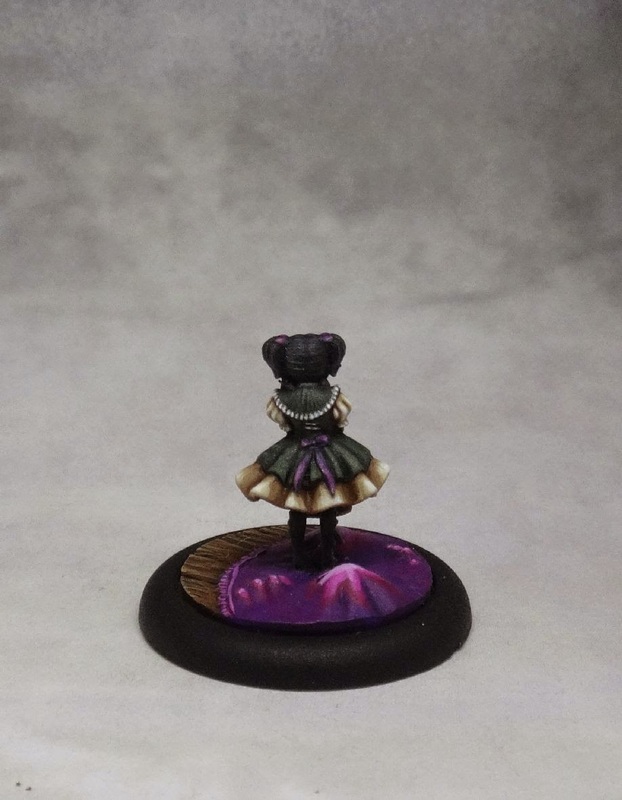 Painting her wasn't easy as she's a very small model. What's more, there are lots of tiny details, not only on her dress and hair, but also in her basket. I used dark shades for her dress, skin and hair as I wanted the details to be brighter and contrast with the rest of the model. 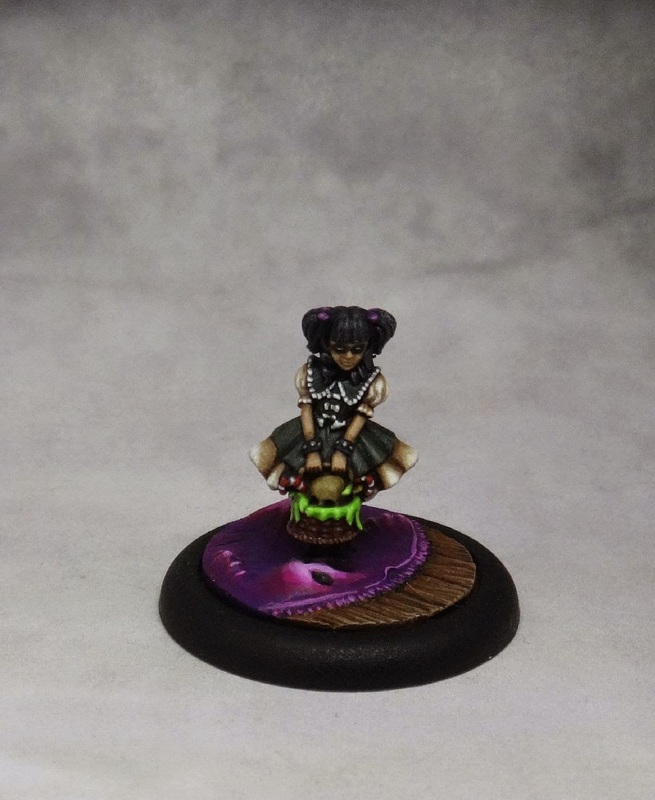 I also used a Wyrd Orphanage base insert. I thought it looked haunting enough for the little Woe that Candy is. She sure is tiny. Great job!